get well-made traditional food with a twist that is reasonably priced. 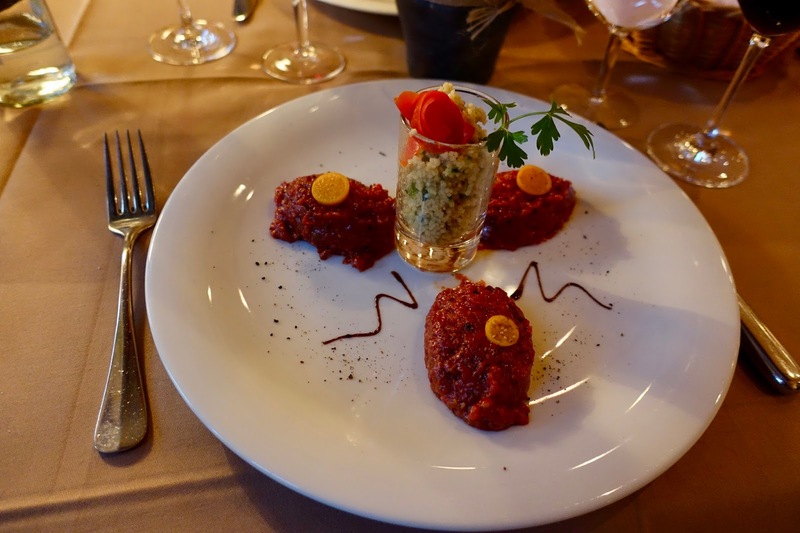 Another particularity stands out, numerous variations of steak tartare are available at this restaurant. Restaurant Differente is not exactly centrally located in Zurich’s core but nonetheless easily reachable from the main railway station. You get here in about 15 minutes by foot. By doing this, you pass an area which can best be described as nondescript. There is nothing fancy here and the same is true for the building that houses the hotel and the restaurant. What was said about the exterior of the restaurant, applies also to the interior, which makes the impression of being a bit dated. 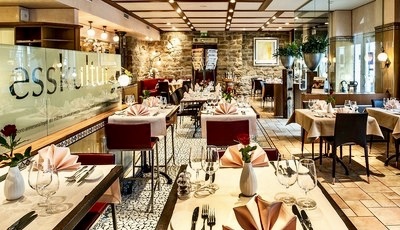 The ambiance is rustic, you rather feel like being in a traditional country inn than in a typical urban dining-spot. Having said that, you feel at ease here but that is more due to the accommodating staff than to the refined surroundings. The menu is quite varied and somewhat eclectic. There are Mediterranean dishes on offer, sometimes with an Asian twist, many different variations of steak tartare and Swiss specialties. The chef uses superior, seasonal and locals produce to prepare tasty meals that are nicely presented. 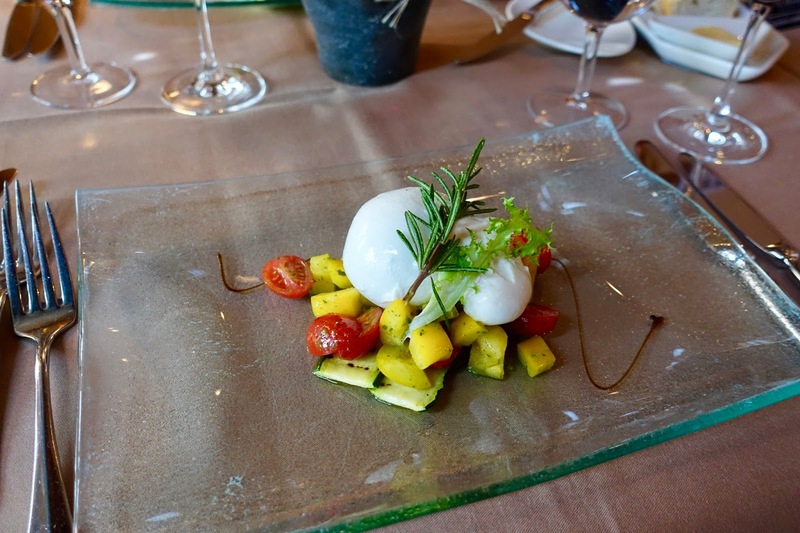 A delicious starter was the burrata cheese arranged on a warm tomato-pepper salad, grilled zucchetti and rocket pesto. 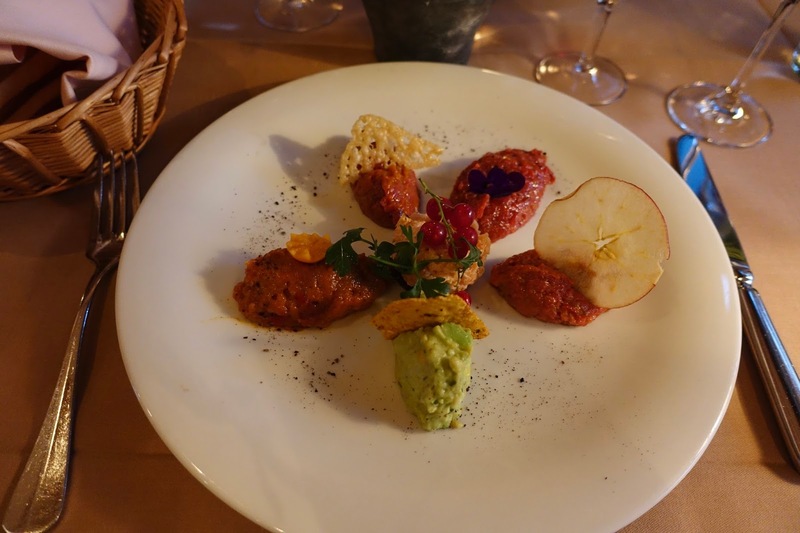 I chose the tartare symphony, a sampler of six different ones (beef in two different ways, veal, buffalo, smoked salmon and avocado). And I have to admit that my husband had a good nose for the best of them, the buffalo version was undeniably the most convincing one! Nonetheless, all of them were good enough. However, the toast that was served to my sampling platter was unexceptional. One of the best assets here is the service. The staff is gracious, informative and engaging. The waiter we had went to great lengths to find the ideal glass of wine for both of us to accompany the meal. As mentioned at the beginning, you get here sound value for money, which is really rare in town. For example, veal Zurich style is priced at 35 SFR. This is not only a bargain in Zurich, but also in Switzerland’s less pricey countryside! 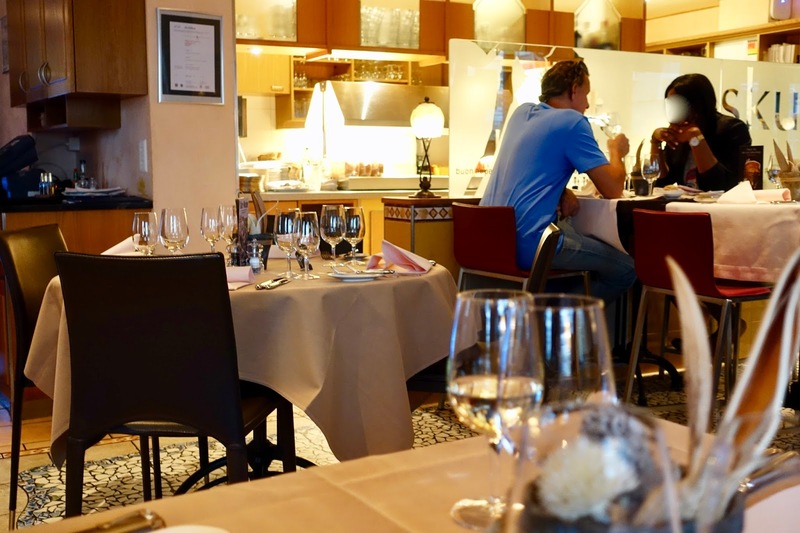 If you seek a fine dining spot in Zurich offering carefully prepared and arranged food at affordable prices and do not mind the fact that it is a bit away from the center and that the restaurant is not necessarily a feast for the eyes, then do not look further. I do not think that you will effortlessly find an equal alternative!